Kashan is my favourite city in Iran. The city has a relaxed atmosphere and the few attractions such as the Sultan Amir Ahmad Bath House and the Abbasi House are worth a visit. The Bazaar with its hidden Caravenserais and tea houses is also unique. 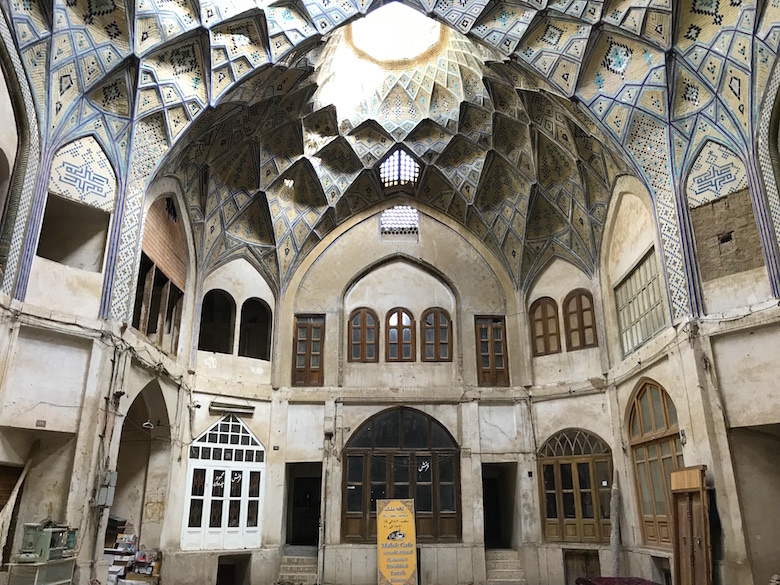 For more information on the best sights in Kashan, read my article “The 6 best places to visit in Kashan”. Obviously, Persepolis belongs to the top destinations in Iran and every single tour operator will bring you there. But may it be overrated? I can clearly answer that with “no”. 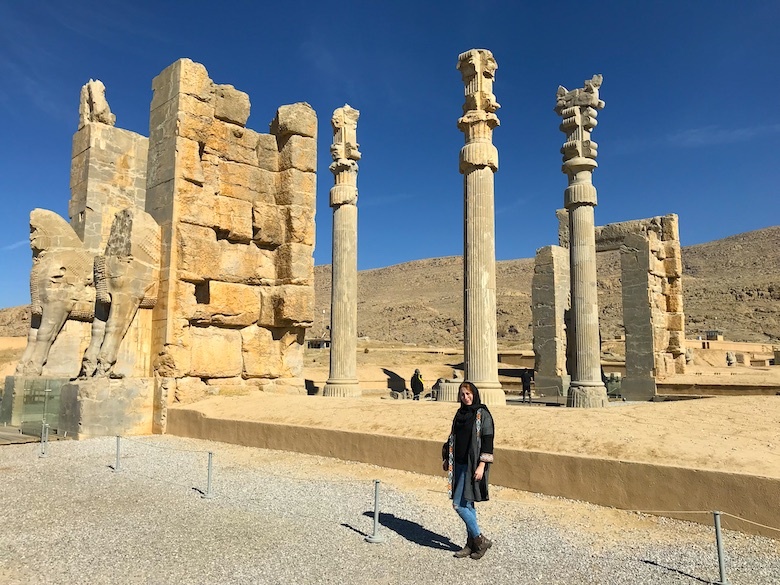 I found Persepolis even more impressive than on the many pictures I had seen before the trip. It’s just fun to explore this great place and feel transported back in time. You should not forget to visit the two beautiful, slightly higher tombs of the kings Artaxerxes II and Artaxerxes III. If you are looking for a bit of adventure in Iran, you should visit the Shah Abbasi Dam. It really was a lot of fun to follow the watercourse and walk through the knee-high water. The impressive Shah Abbasi Dam, which you reach at the end of the path, is simply mystical and the ideal location for a great photo shot. 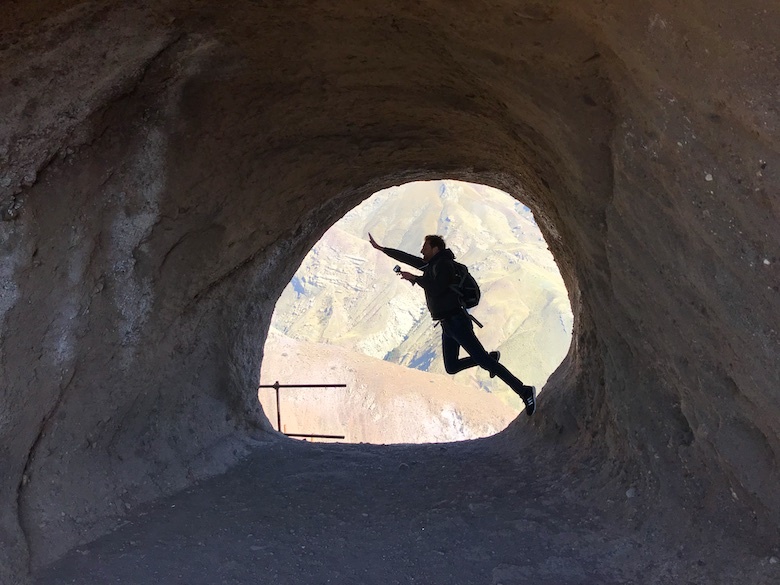 Actually, the Alamut Valley was not on our Iran travel plan at all, but I am glad that we still explored it. In the Alamut Valley, which lies high up in the mountains, you can take wonderful walks and visit ancient fortresses. 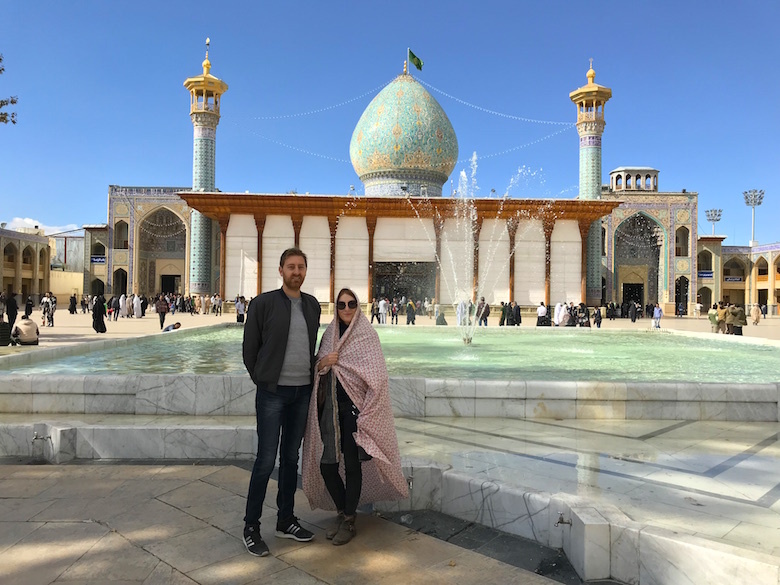 Esfahan is probably the most beautiful city in Iran and is part of every Iran tour. 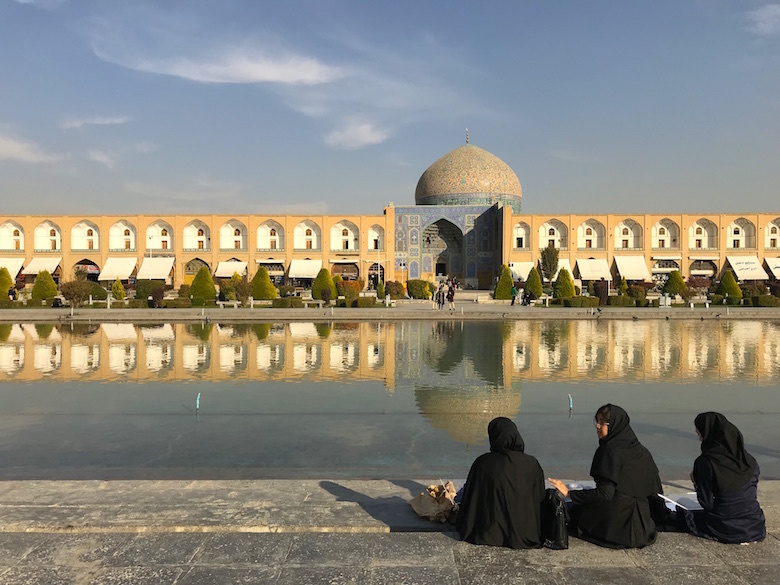 The highlight of the city is undoubtedly the “Naqsh-e Jahan Square”, one of the largest and most beautiful squares in the world. You can easily spend two full days in the city, because there is no shortage of sights in Esfahan. Fore more information on the best sights in Esfahan, read my article “9 Top Attractions in Esfahan”. 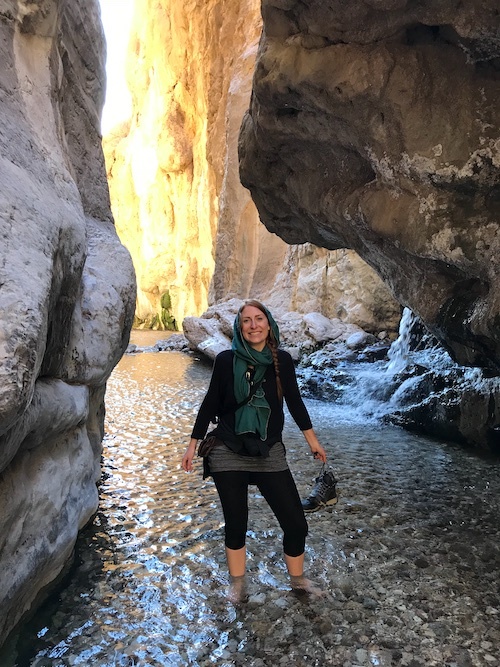 The Zagros Mountains are a paradise for nature freaks. 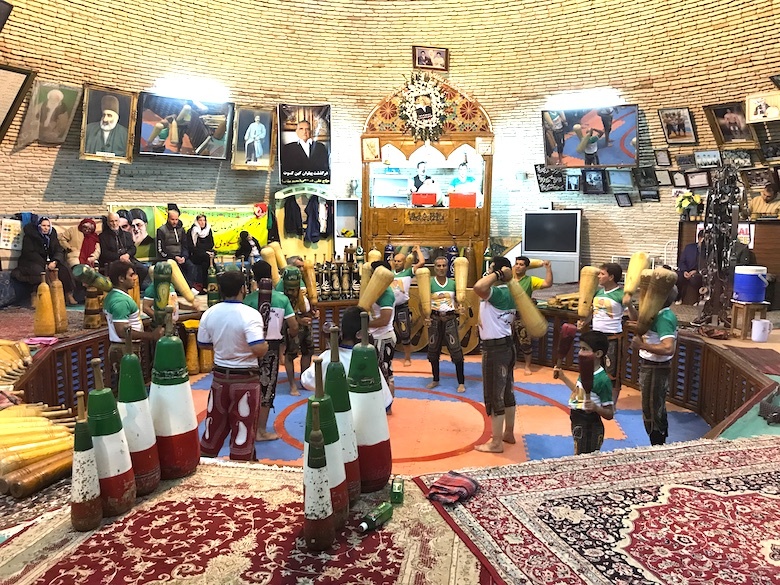 They stretch over 1500 km from the west to the south-west of Iran and offer plenty of activities for active holidaymakers. You can do great walks, go skiing or explore the surrounding mountain villages. The towns of Shahr-e Kord and Chelgerd are two ideal starting points to discover the Zagros Mountains. 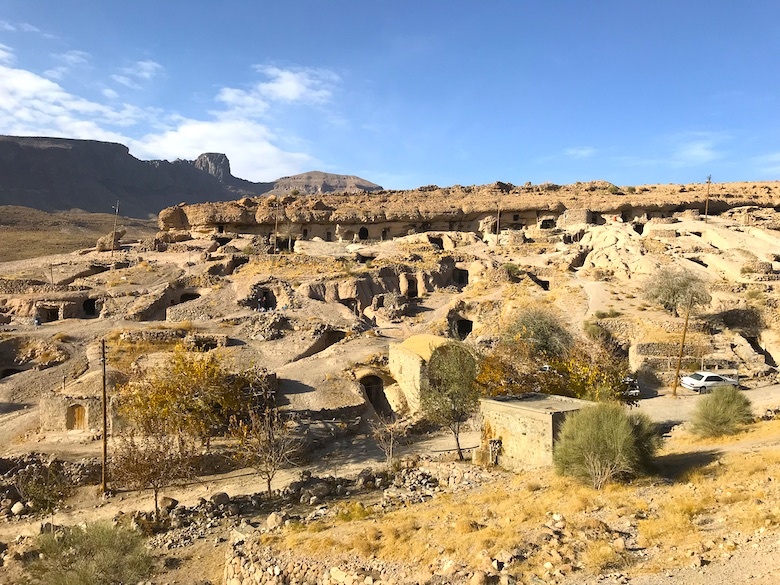 The oldest village in Iran is clearly an insider tip. The village consists of numerous caves that are still inhabited by about 140 people. Parts of the village serve as a museum and are open to the public. For many Iranian tourists the city of Yazd is of particular interest and that for a good reason. 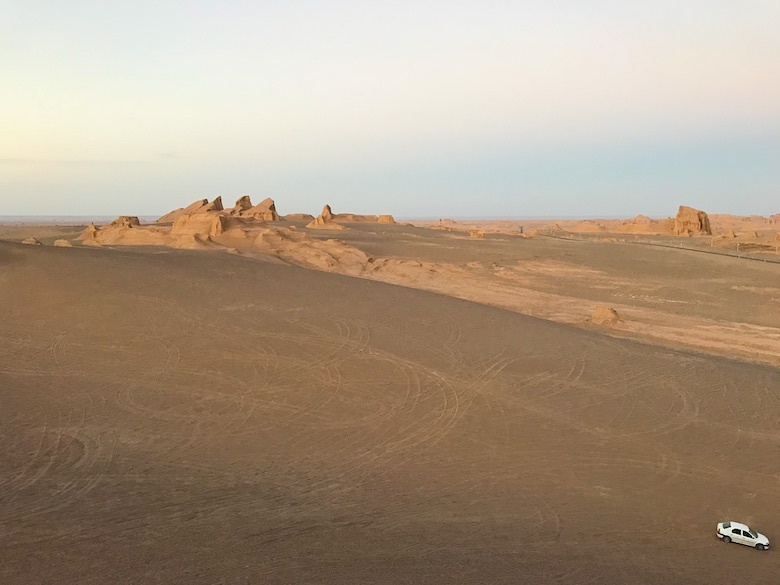 Great sights, nice cafes, lovely restaurants and a relaxed atmosphere make Yazd one of the most attractive cities in Iran. Do not miss a show of the interesting Iranian sport Varzesch-e Pahlavani. The village of Esfahak was destroyed by an earthquake in 1357. Today the ghost village with its numerous saffron fields and the mountains in the background just looks magical. 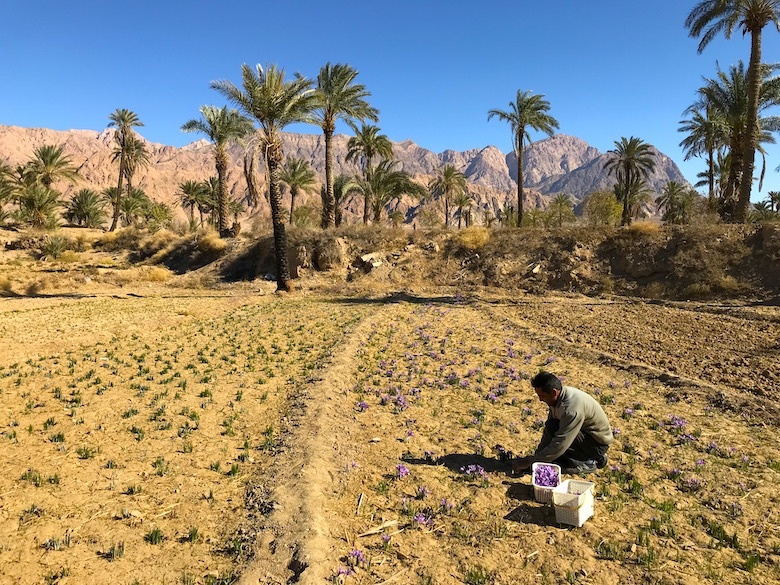 We were lucky enough to see some locals picking saffron. 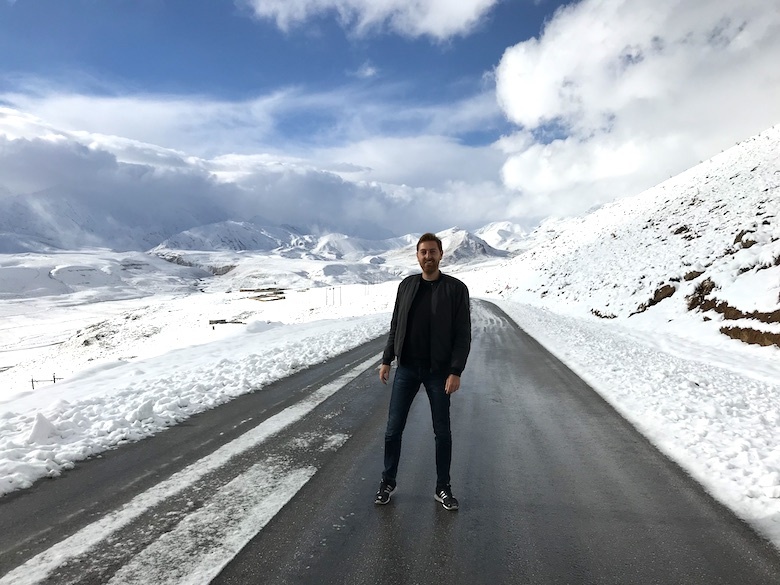 No Iran road trip leads past Shiraz. We spent three days in Shiraz. 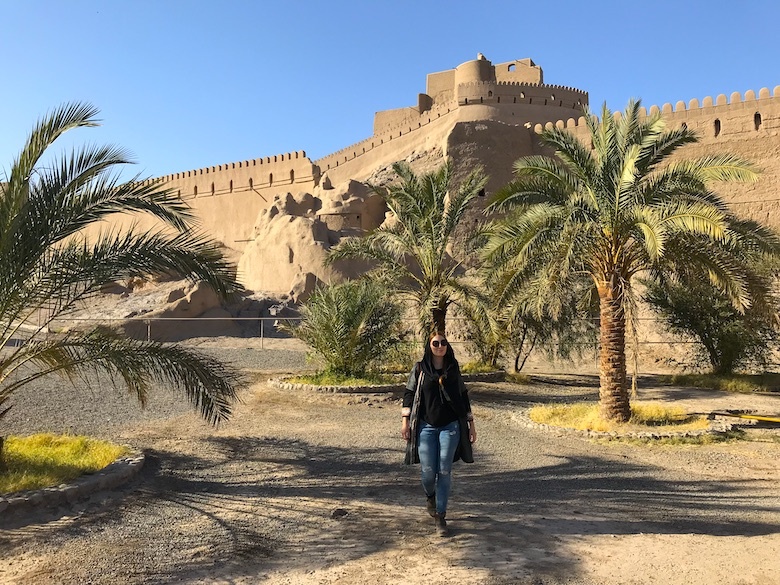 Not only to visit the great sights such as the Nasir-ol-Molk Mosque and the Citadel of Karim Khan, but also because the city is the ideal place for day trips to the surrounding ruins of Persepolis and Naqsch-e Rostam. Would you like to know more about the best sights in Shiraz? Then read my article “Shiraz – 6 Top Things to See”. 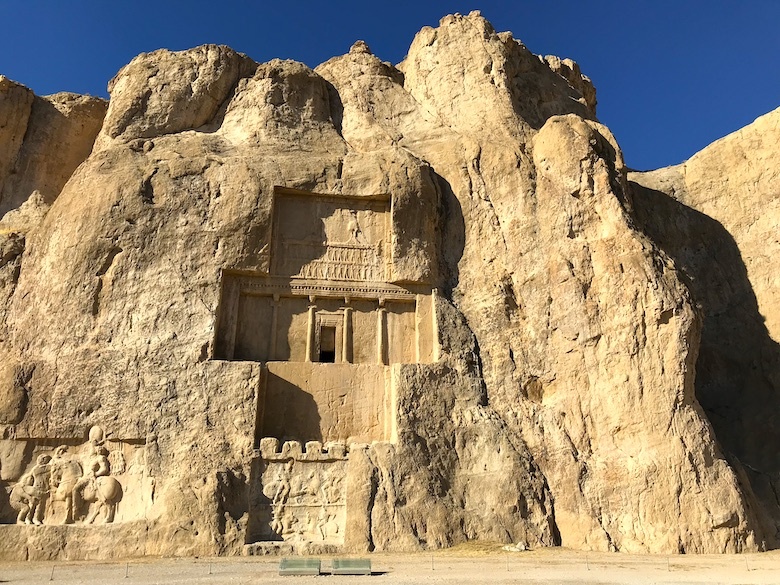 Right next to Persepolis you will find another great archaeological site called Naqsh-e Rustam. The four tombs of Achaemenid kings are curved out of the rock face at a considerable height above the ground. 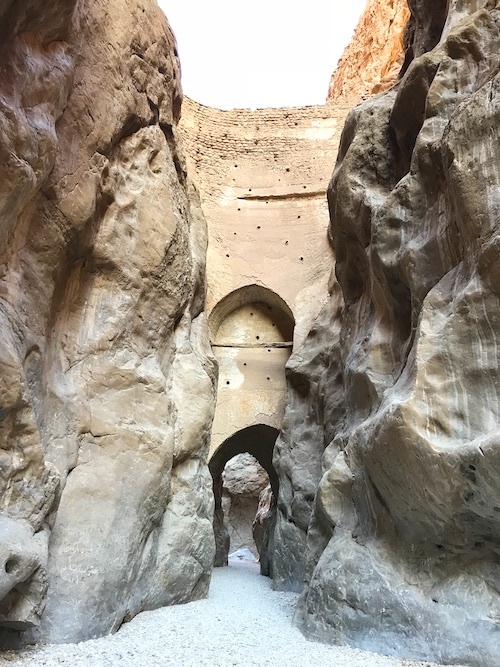 The city of Bam is rarely visited by tourists, as the route between Kerman and Bam is considered unsafe. Nevertheless, we did not want to miss the majestic Bam Citadel. Although parts of the citadel were destroyed by an earthquake, we were able to walk to the highest point of the citadel and enjoyed magnificent views of the entire citadel. Do you fancy desert, lunar landscapes and great villages? Then off to the Kaluts. There are only a few guest houses in the Kaluts, but that should not scare you to explore this great area. You can spend hours exploring the ancient sandstone castles and driving for miles along deserted desert roads.